OUTSPOKEN and unapologetic Kenilworth dairy farmer Shane Paulger has stepped into the ring with the Queensland State Government over a quarantine issue he believes could ruin his reputation and livelihood. Mr Paulger last week described the new battlefront as "very personal" and accused the Newman Government of "holding a grudge". "I'm cannon fodder," he said. "They don't want any dissenting voice. "They are more occupied with my status as a Katter's Australia Party candidate for the seat of Gympie. It is highly political." The quarantine issue involves a cow on Mr Paulger's Kenilworth property which Queensland Biosecurity Unit suspects could be infected with Bovine Johne's Disease - a fatal wasting disease of cattle, goats, alpaca and deer. Mr Paulger says numerous testing has cleared his herd of the disease and he wants quarantine status lifted. The State Government, however, is not obliging, saying while Mr Paulger's farm retains "a trace forward cow", the farm must remain under quarantine. The controversy began in April 2009, when two elite heifers were bought from leading Australian jersey stud Brunchilli at a record breaking sale held on a New South Wales farm. only daughter of the one cow to ever win grand champion at the International Dairy Week in Tatura as junior champion. Both heifers were introduced to the show circuit with outstanding results. "To say these animals were outstanding would be an understatement," Mr Paulger said. In June 2013, one of the heifers had to be euthanised following calving complications, leaving a single heifer. 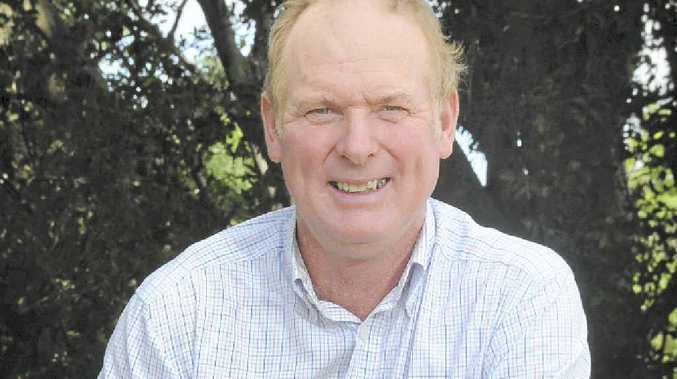 On November 22, 2013, Queensland Biosecurity arrived at Mr Paulger's Adadale farm and him he was under immediate quarantine as the jersey stud providing both cows had sold a cow to Victoria testing positive to Bovine Johne's Disease. The sale meant Adadale was considered "suspect". December 9, 2013, a cross section of 300 head of Mr Paulger's dairy milking herd was tested, following a 12-week incubation protocol. "The trace-forward cow was declared negative," Mr Paulger said. The Kenilworth farmer considered in April the following year sending the cow back to New South Wales despite the loss to Adadale. Grappling with this decision, Mr Paulger received inconclusive test results on March 6, and was told further lab research was required. "On May 16, at 3.30pm, I received a phone call from Dr Jonathan Lee, principal Veterinary Officer Biosecurity, saying test results all clear," Mr Paulger said. "He states while we retain the trace forward cow, we will remain under quarantine. "I told him this was not financially viable and ended the conversation." Mr Paulger is at a loss to explain how his farm can remain under quarantine despite numerous test results clearing his herd. "It's a bit like going through quarantine at the airport, being told you are clear and still not being allowed into the country," he said. "This is not about clean cows. It is about crushing Shane Paulger. "This tarnishes my reputation, is hurting my business, has me worrying about the future and threatens two lifetimes of work establishing the Adadale brand. "The tests say I am clear," Mr Paulger said. There, he said, the issue should end.